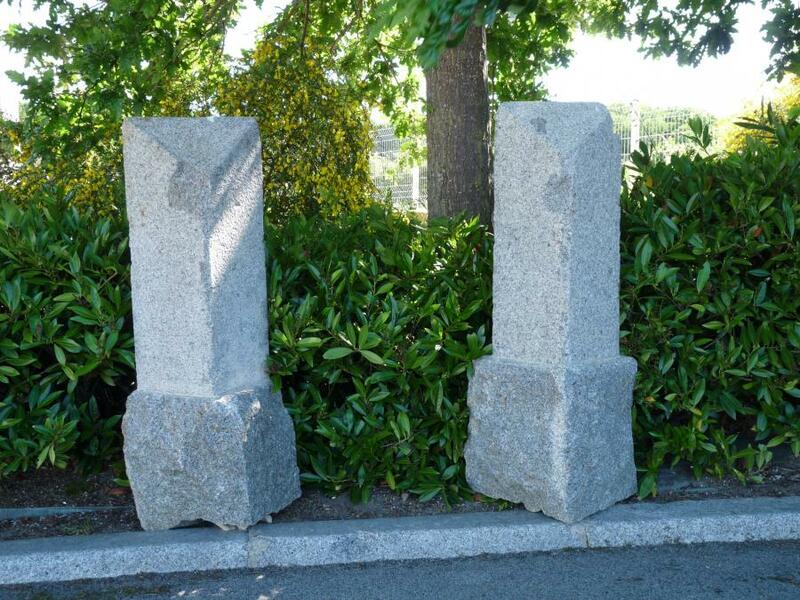 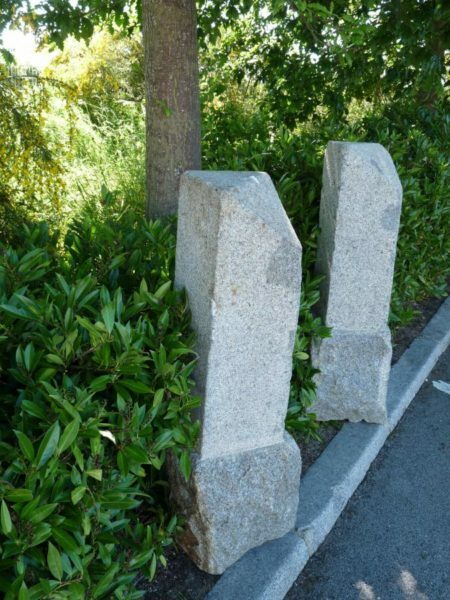 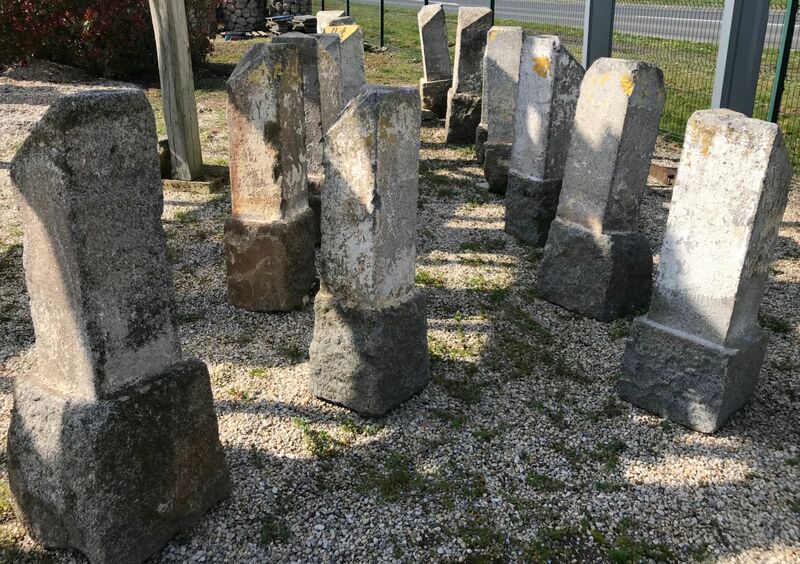 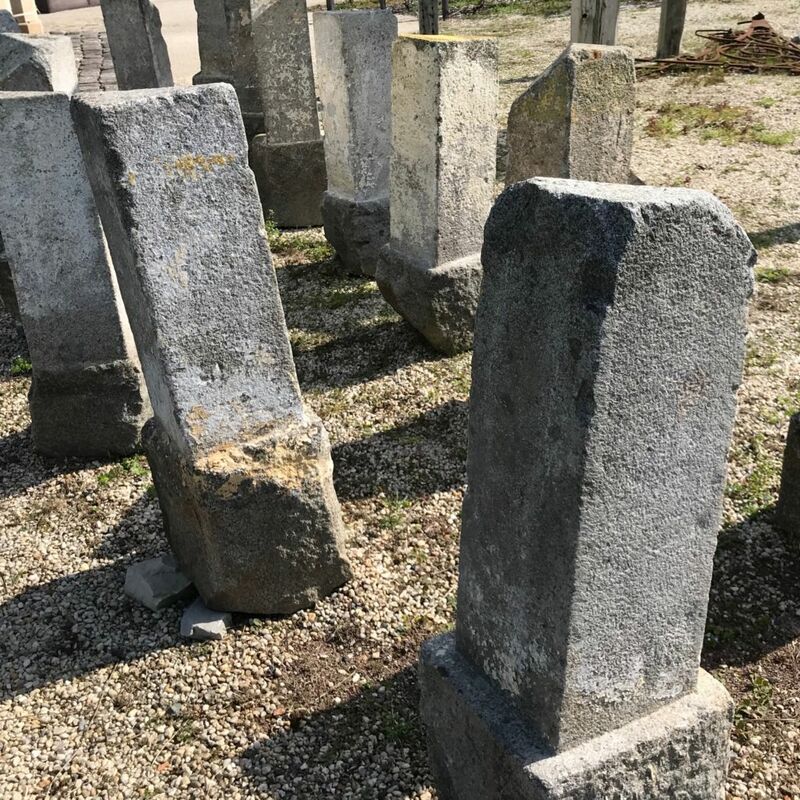 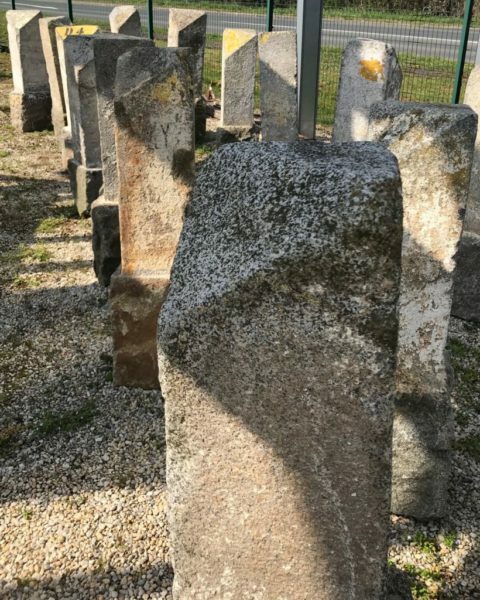 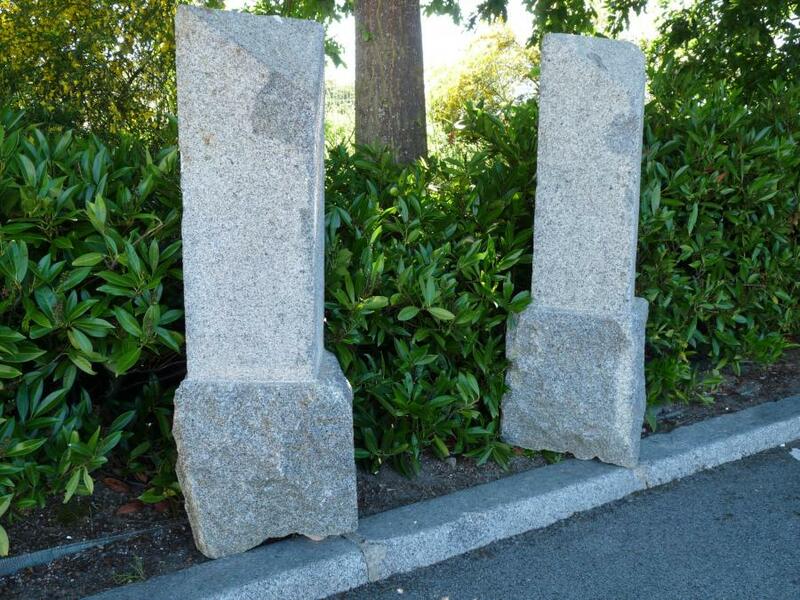 Antique French granite posts, reclaimed, with angled upper face. 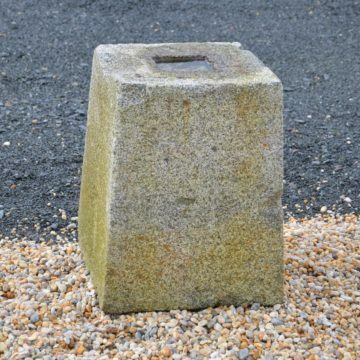 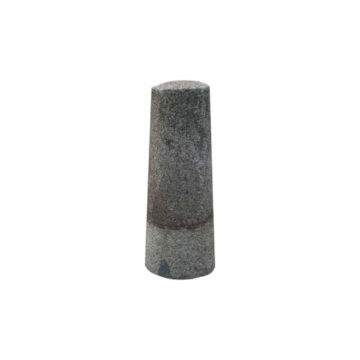 Ideal to re-use to feature along driveways or even block an entrance way, or other landscape or garden design uses such as supporting outside watering taps. Many in stock. 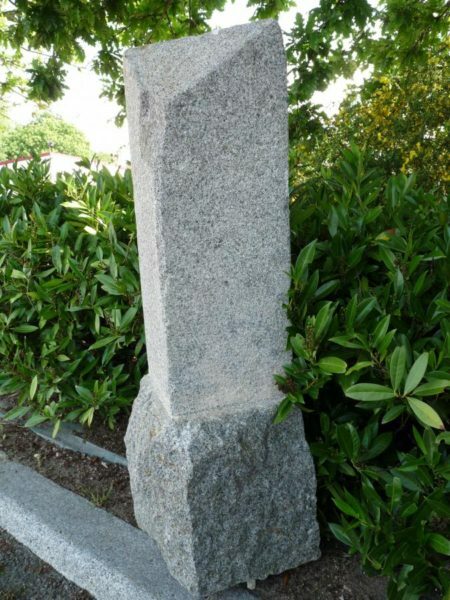 Overall ht = 120cm (47 inches). 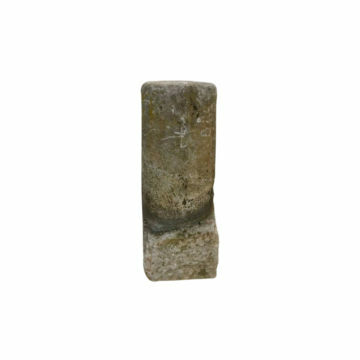 Upper section approx 27cm (11 inches) x ht 75cm (30″).